Hunterdon Art Museum in Clinton, NJ in the exhibition Swept Away: Translucence, Transparence, Transcendence in Contemporary Encaustic, curated by Michael Giaquinto. She recently exhibited in Winter Group Show l at Lanoue Gallery, Boston, MA, Double Vision at Laura Rathe Fine Art in Houston, TX and Encore at Frederick Holmes and Company Gallery in Seattle, WA. 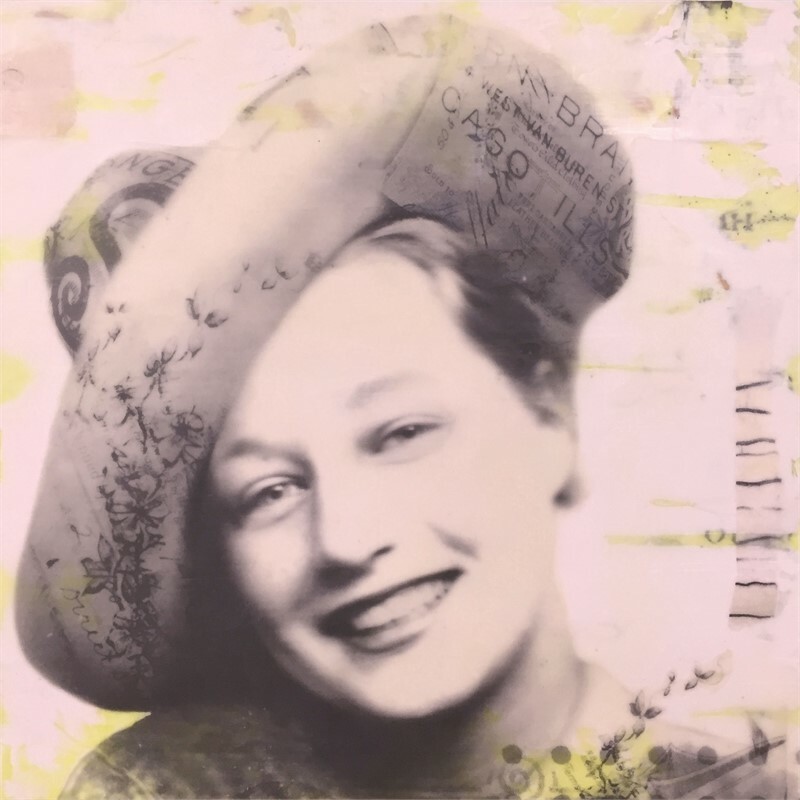 She is one of the featured artists in the books, Encaustic Works ’12 by Joanne Mattera and Authentic Visual Voices: CP&E, an E-book by Catherine Nash. Rothman, born in Taunton, MA, graduated from Rhode Island School of Design. Her home and studio are in New Jersey. “A master of her medium. 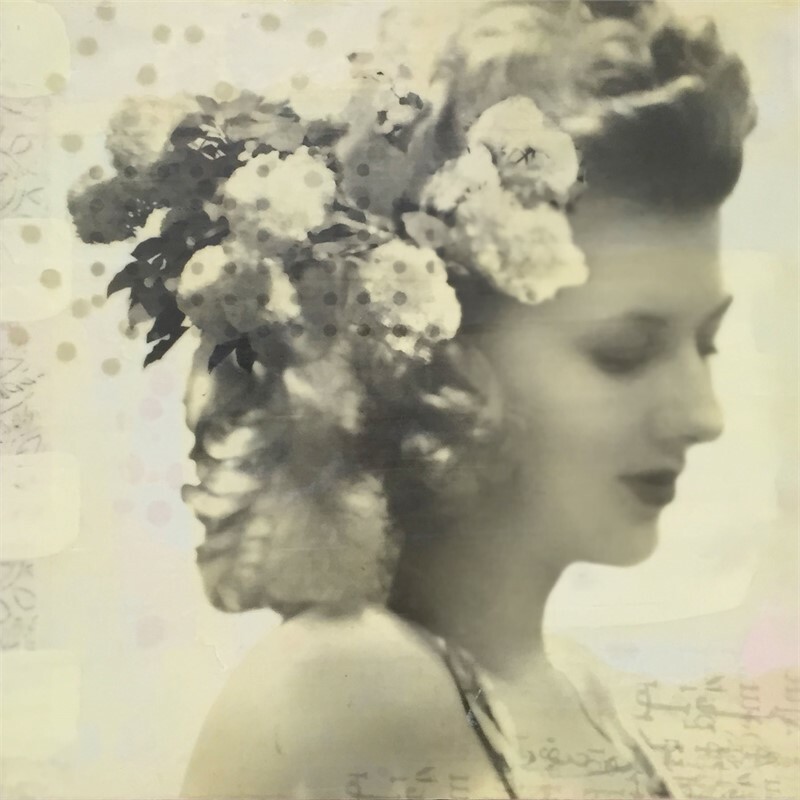 These paintings are a brilliant fusion of photographs from the past with contemporary figure drawings.” — Nancy di Benedetto, New York Author and Art Historian Marybeth Rothman is known for her figurative, photo collage and mixed media paintings. 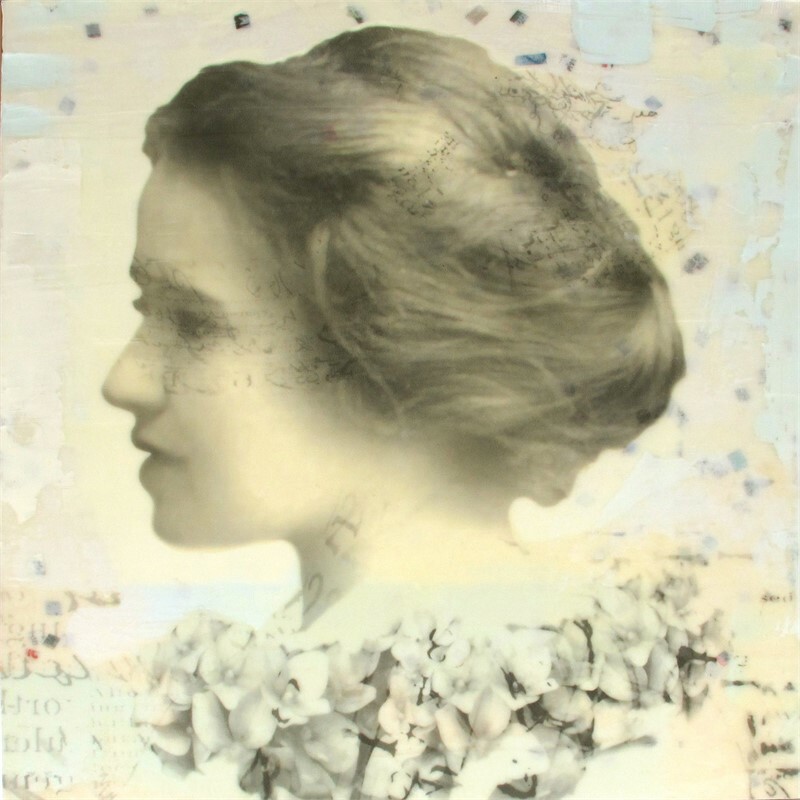 Her recent solo exhibition, A Curious Collection of Strangers was shown at Frederick Holmes and Company Gallery of Modern and Contemporary Art in Seattle, WA. She was invited to exhibit at the Heckscher Museum of Art in Huntington, NY in Ripped: The Allure of Collage with Roy Lichtentstein, Kurt Schwitters, George Grosz, Hannah Hoch and others, curated by Kenneth Wayne, Ph.D. She exhibited at both Cape Cod Museum of Art in Dennis, MA and Hunterdon Art Museum in Clinton, NJ in the exhibition Swept Away: Translucence, Transparence, Transcendence in Contemporary Encaustic, curated by Michael Giaquinto. She recently exhibited in Winter Group Show l at Lanoue Gallery, Boston, MA, Double Vision at Laura Rathe Fine Art in Houston, TX and Encore at Frederick Holmes and Company Gallery in Seattle, WA. 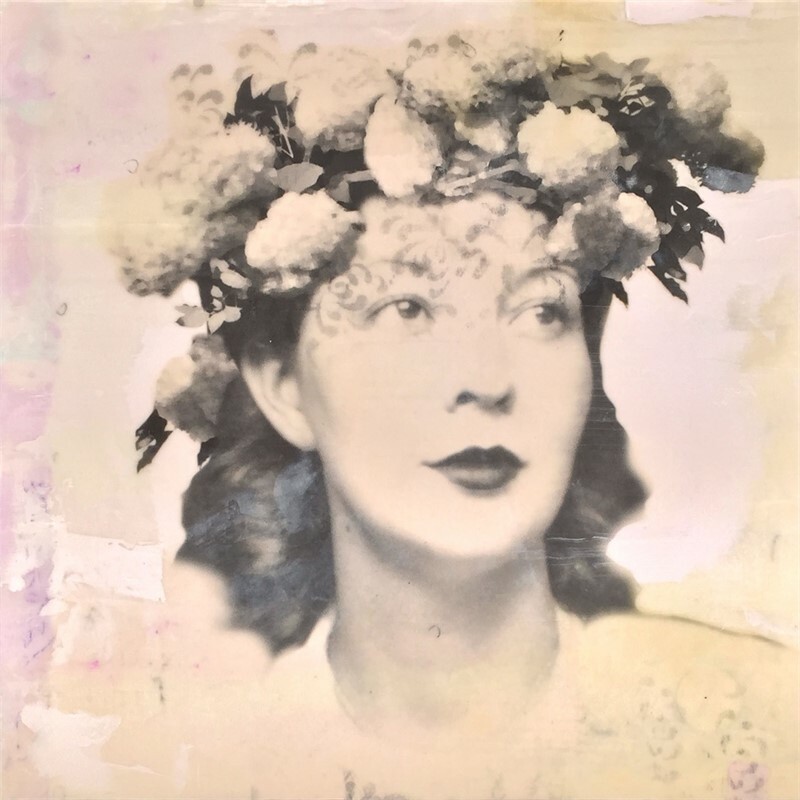 She is one of the featured artists in the books, Encaustic Works ’12 by Joanne Mattera and Authentic Visual Voices: CP&E, an E-book by Catherine Nash. Rothman, born in Taunton, MA, graduated from Rhode Island School of Design. Her home and studio are in New Jersey.